The shelling continues in all sectors. 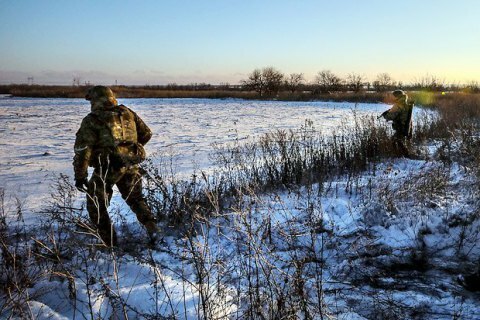 During the past day, militants 45 times fired at the positions of the Ukrainian military in the zone of the antiterrorist operation in Donbas, ATO press center reported via Facebook on 30 December. In the Mariupol sector, the terrorists pounded Krasnohorivka and Talakivka with mortars. They fired rocket-propelled grenades and small arms at Shyrokyne, Starohnativka, Talakivka, Pavlopil, Hnutove and Vodyane. In the Donetsk sector, the enemy fired propelled grenades and mortars at the positions of Ukrainian army in Luhansk Region: Troyitske, Zaitseve, Verhnyotoretske, Avdiyivka and Balka Krutenka. In the Luhansk sector, militants ponded Malynove with mortars, and fired rocket-propelled grenades at Balka Krutenka, Novozvanivka and Stanytsya Luhanska. Enemy snipers were active in all three sectors- near Hnutove, Vodyane, Talakivka, Novozvanivka and Avdiyivka. Last day, two Ukrainian soldiers were killed and two wounded in combat zone. Unruly MP preparing talks with "D/LPR" chiefs "in Lugansk, Donetsk and then Kyiv"